Architects have called it futuristic and compared it to spaceships. 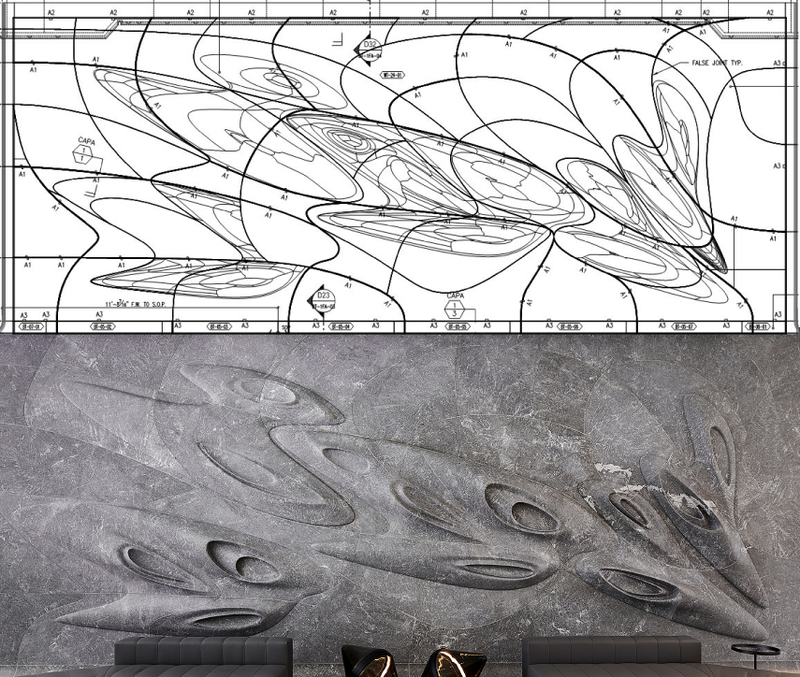 Envisioned and designed by late renowned architect Zaha Hadid, the 520 W 28th Street residential condominium building in New York City’s Chelsea neighborhood features a stunning piece of wall art carved from Grigio Brasile marble that expands 34 feet. Sting and his wife Trudie Styler are reportedly renting an apartment in the upper floors of the building while Ariana Grande and her fiancé Pete Davidson dropped $16 million for a condo in the building. 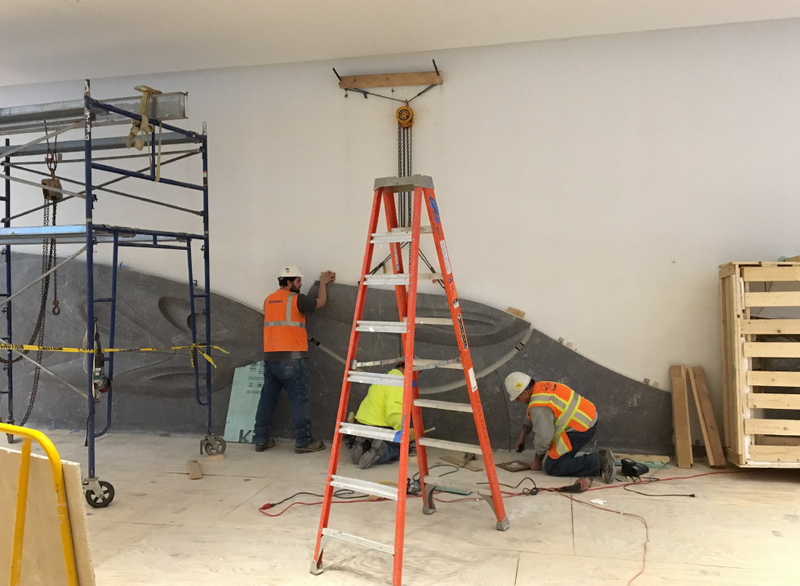 Port Morris Tile & Marble was tapped to engineer and execute the artistic stone feature wall and matching floor design in the building’s lobby, no small feat, to be sure. The company is no stranger to working on large scale and challenging projects that involve complex engineering throughout the New York City area. 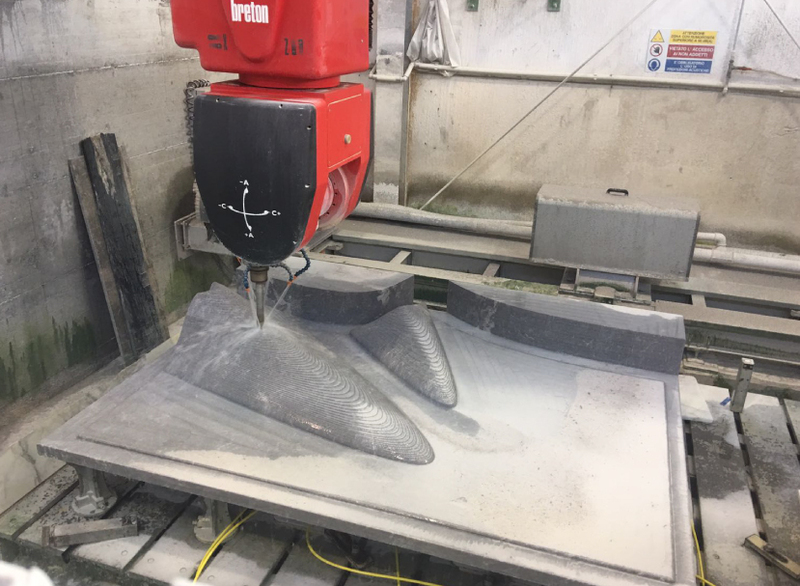 “By having an international talented and experienced team which have worked with very well-known architects on numerous projects gave us the edge to add value and bring a skilled service to compliment the [Zaha Hadid] Design team,” says Addley. Still, Hadid’s reputation for creating unique and challenging designs wasn’t lost on Addley and his team and the question raised several times when they first reviewed the drawings and renderings was how to turn this concept design into a reality. 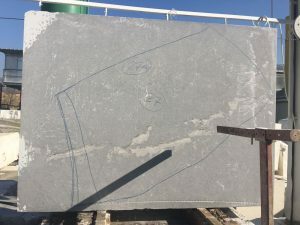 The Grigio Brasile marble, quarried in Greece, proved just the right color variations and quantities for the monochromatic design with beautiful smoky grey color tones. 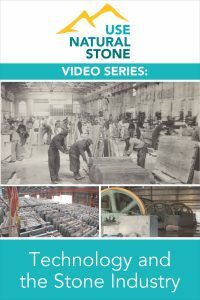 It also featured highly-durable characteristics which made it attractive for this project. 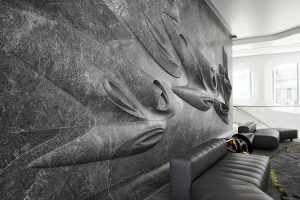 “The structure and the grey background of the natural marble emphasized the organic 3-dimensional shapes and made it the focal area in the space,” says Addley. 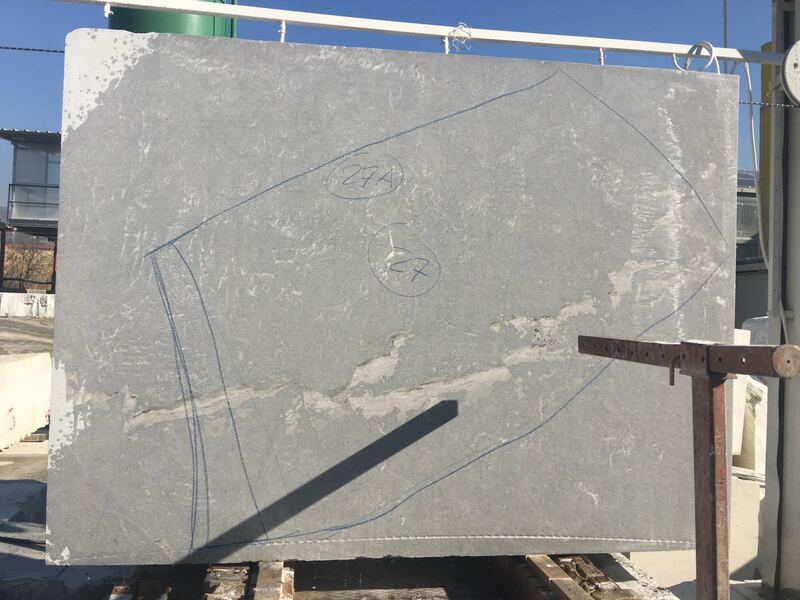 To reduce the waste factor, the stone was divided to custom cubic measurements to match with each stone piece. 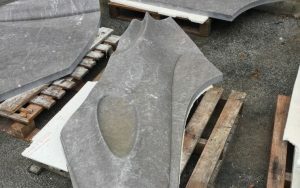 The installation sequence of the expansive and very heavy organic curved stone with odd and pointy edges was the most challenging aspect of this project. 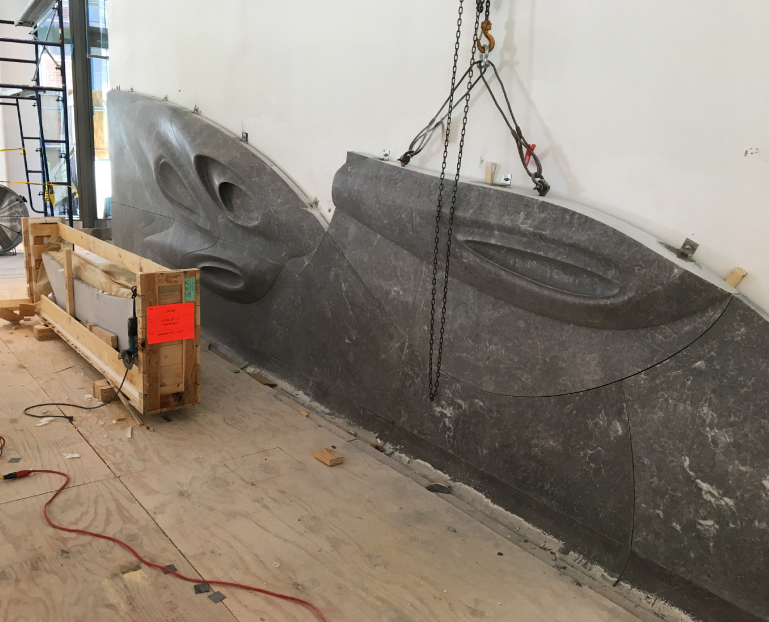 The stone was rigged and installed in a creative planned process to put the wall puzzle together and turn the project into a reality. 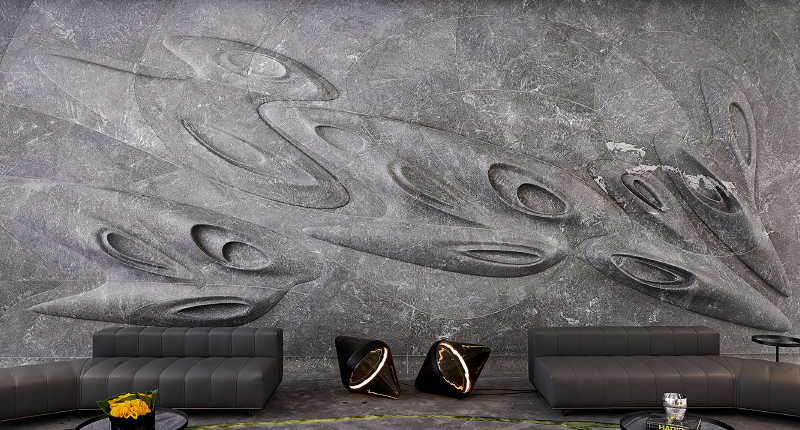 The design of the lobby feature wall as a new standing landmark in New York City represents how an inspired vision combined with skill and engineering can push natural stone design and the industry standards to new limits by the integration of the latest technological innovations. 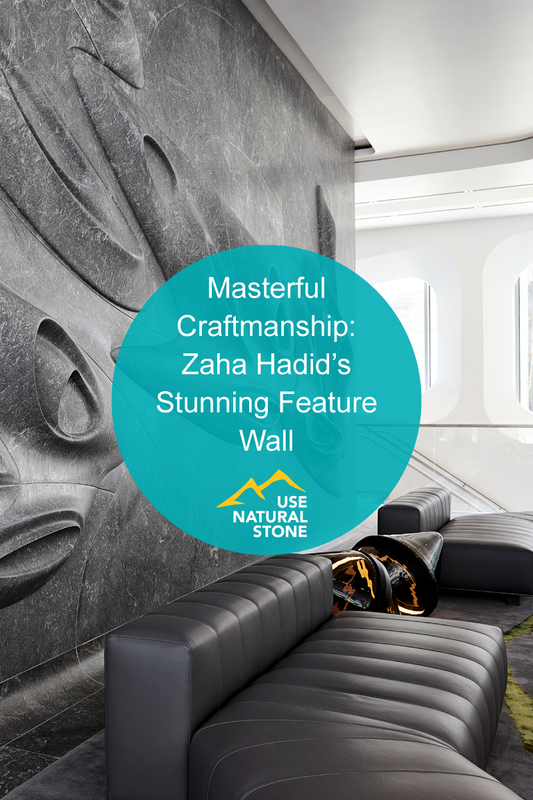 Having the once-in-a-lifetime chance to work on Zaha Hadid’s last designed project was an honor for Addley and his company. 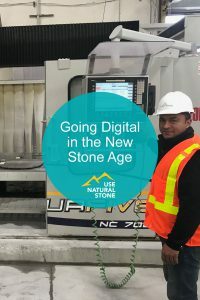 It recently was honored for its work by the Natural Stone Institute’s highest honor, the 2017 Grande Pinnacle Award for Best Overall Project and a Pinnacle Award of Excellence in the Commercial Interior category. 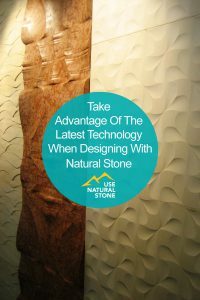 These highly-coveted awards are given to projects whose beauty, creativity, ingenuity, and craftsmanship exemplify professional mastery in the use of natural stone in commercial and residential applications. 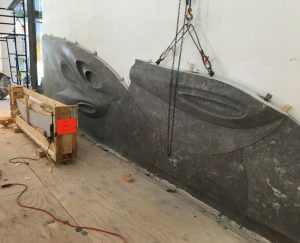 Technology helped make this project possible and Addley believes we’re going to be seeing more work pushing limits as a result. Working on a project designed Zaha Hadid might have been a personal and professional highlight for Addley and his team, but working with challenging projects and buildings designed by architects pushing the boundaries is their trademark. For those who want to get a glimpse of Zaha Hadid’s space age 11-story residential building, it can be seen hugging New York City’s High Line. 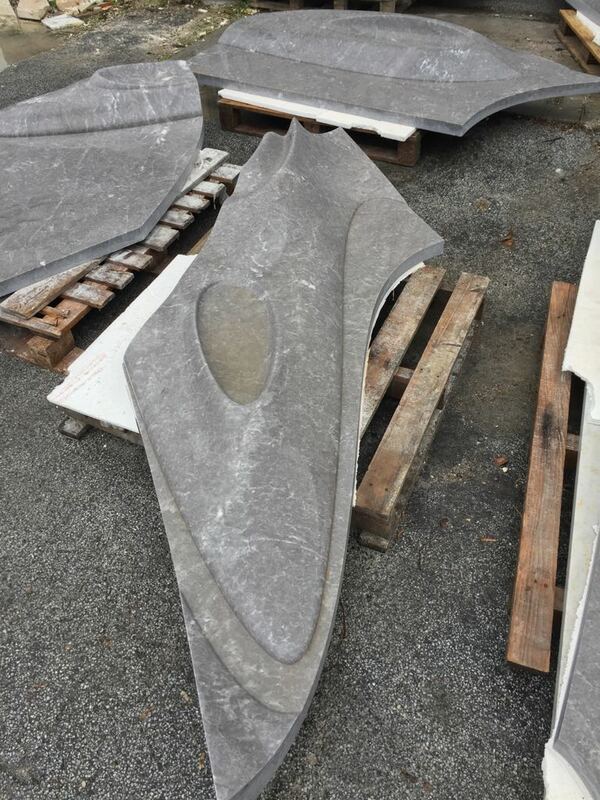 It’s worth a step off the beaten path to stroll through the lobby and see the landmark and masterful craftsmanship created using natural stone.